You must have completed year 10 or equivalent or be considered a mature aged student and you must turn 18 years of age or older by completion of the Teacher’s Assistant course. All applicants must also complete a literacy and numeracy assessment at AHEA. AHEA usually does not hold classes during periods designated as school term breaks by the West Australian Department of Education or on gazetted public holidays. This course requires participants to complete up to 5 hours of individual prereading and preparation before each class. AHEA’s classes are small in size, usually a maximum of twelve students. This allows for a more intense form of instruction and personalised delivery. Go to our Fees and Charges page or contact the Academy for current course costs. Please note that course costs do not include the Education Department Police Clearance and the Working with Children Check which are industry requirements. Certificate III in Education Support may be available at a discount to eligible participants of various programs. These programs may be funded by the Commonwealth Government and the Government of Western Australia. 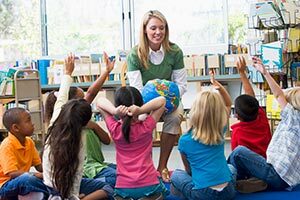 This qualification covers workers in a range of education settings including public and independent schools and community education settings that provide assistance and support to teachers and students under broad based supervision. Some jurisdictions may require specialist skill development and supervision by qualified teachers to address specific job roles. Some job roles may require the education support worker to complete work external to the immediate education environment e.g. In Aboriginal and/or Torres Strait Islander communities. *** Students are required to demonstrate that they have achieved competency during on-the-job training (Supervised Field Placement). *** Students must ensure they can obtain a Working With Children’s Check and an Education Department Police Clearance (these are not provided as part of the course and are the responsibility of the student). *** For students who are undertaking Supervised Field Placement and they are pregnant, we require a letter from their General Practitioner stating it is safe for them to continue with the Supervised Field Placement.